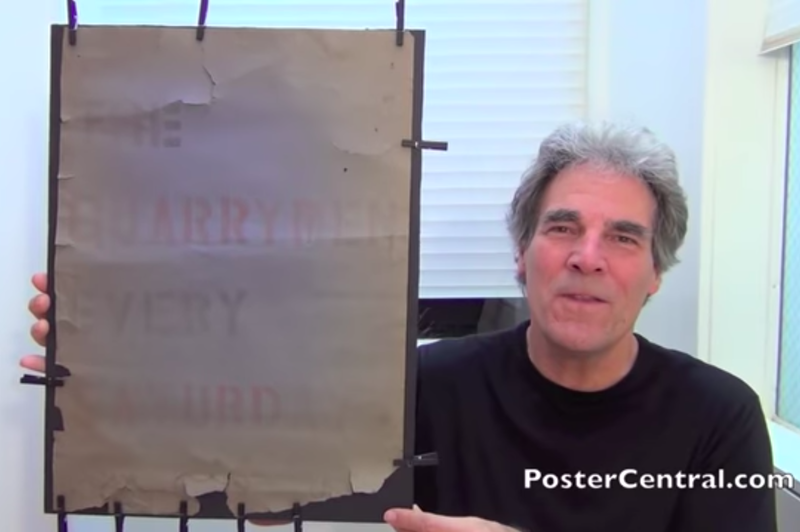 An original Quarrymen concert poster from 1959 has been discovered by Pete Howard at Postercentral.com. The poster was recently acknowledged by Roag Best as genuine. The poster is for Saturday appearances of the band at the Casbah Club, which opened in 1959. The group had by then shed all of John Lennon's gang of childhood friends from his neighbourhood and was now made up by the core of what was to become the Beatles - John Lennon, George Harrison and Paul McCartney, with additional member Ken Brown. Pete Howard was the publisher of ICE magazine from 1987 to 2006 and was a contributing editor of Rolling Stone magazine, 1988-1995.